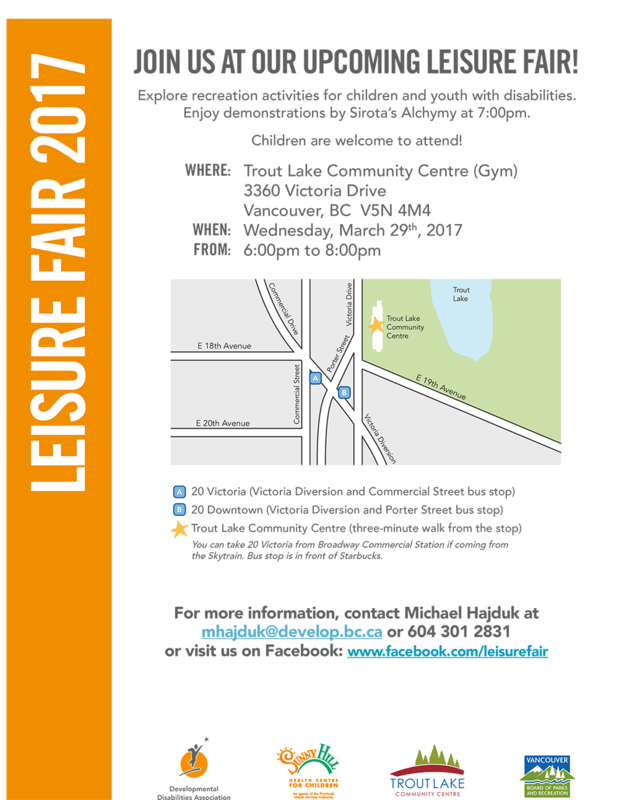 Join us at our upcoming Leisure Fair 2017! Explore recreation and leisure activities for children and youth with disabilities. Enjoy demonstration by Sirota Alchymy at 7:00 PM. Children are welcome! This entry was posted on March 29, 2017 by Events Manager.